A few months back, we invited local institutions to contribute content to the US National Archives’ centennial project, Remembering WWI. Through participation in this national effort, museums, archives, libraries, historical organizations, and more can help contextualize the experience of World War I at the local level, and help grow our national collection of WWI primary sources. Connecticut Remembers WWI is a state collaborative effort to digitize and share WWI collections gathered from Connecticut’s cultural heritage organizations and communities for education and research. 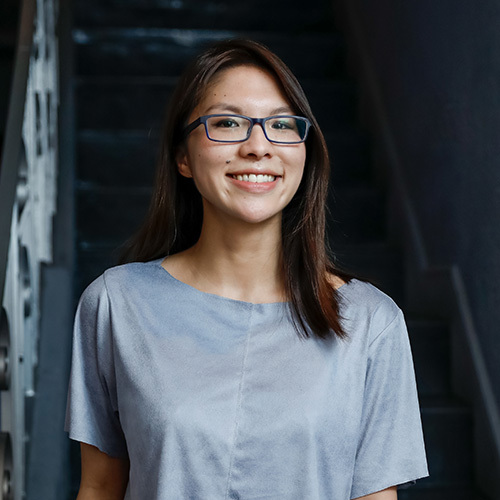 The items shared through this project, and now in Remembering WWI, document everything from the daily activities of local citizens and businesses to state institutions and government during the war. April 7 1918: A draftee prepares to board a train from Hartford to Fort Devans. 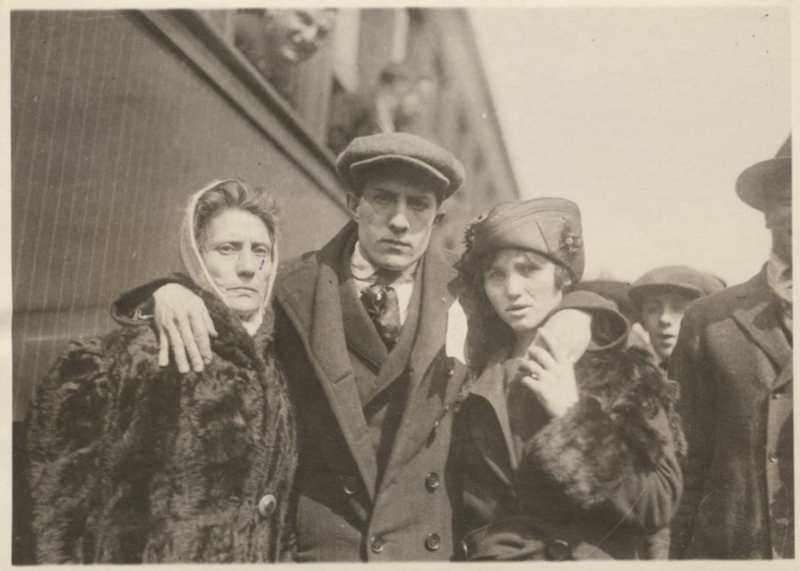 Surrounded by the smiles and laughter of his fellow future doughboys, he meets the somber eyes of the two women who have come with him to the station. He embraces his mother with one arm and draws his young wife close with the other. She touches her ungloved fingers to his. All three turn to face the camera. 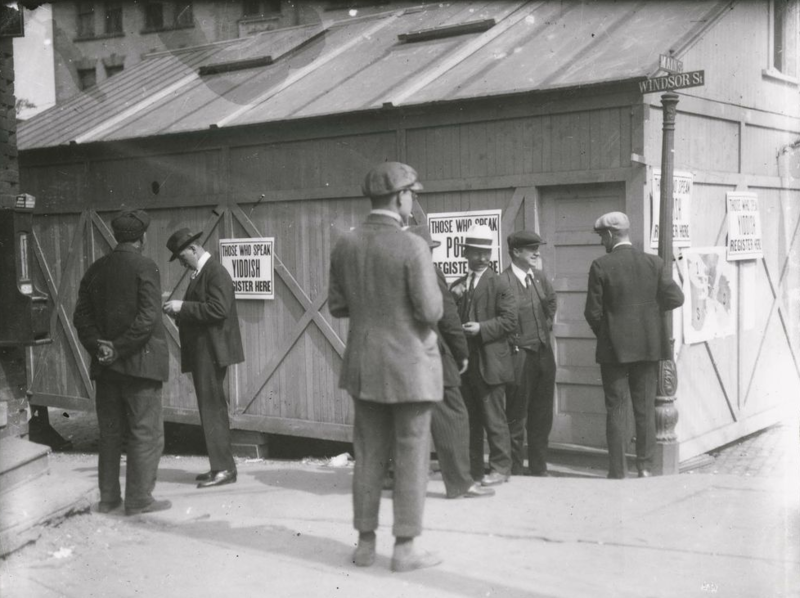 A draft registration booth for Polish and Yiddish speakers, Hartford, Connecticut. 1917-1919. In the Virginiana Room’s collection, local troops return home after the war to much fanfare. Don’t miss the Street View overlays! 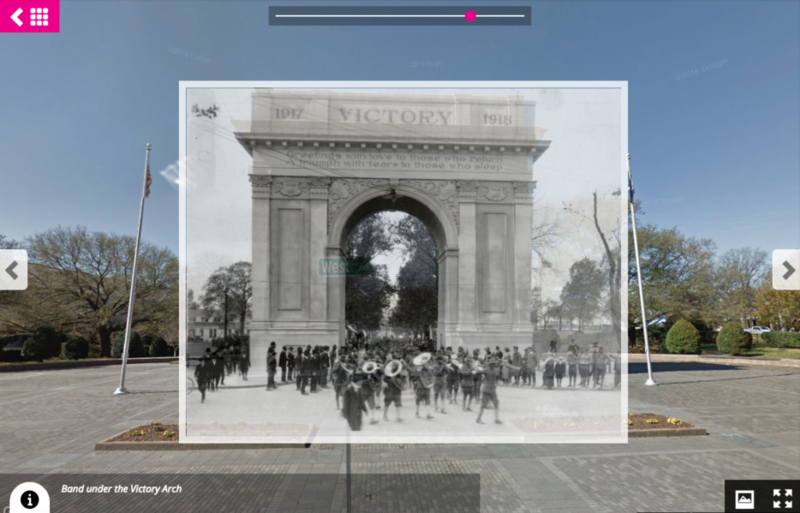 Homecoming troops passing under the Arch of Triumph in Newport News, Virginia. 1919. Curators of Home Before the Leaves Fall, a WWI website highlighting materials and resources on the Great War from multiple mid-Atlantic institutions, the Digital Library at Villanova are also the keepers of scores of their own interesting WWI content. They have shared some of these collections in Remembering WWI, highlighting important homefront perspectives of 1916 Easter Rising, and how local WWI literature was marketed to youth. 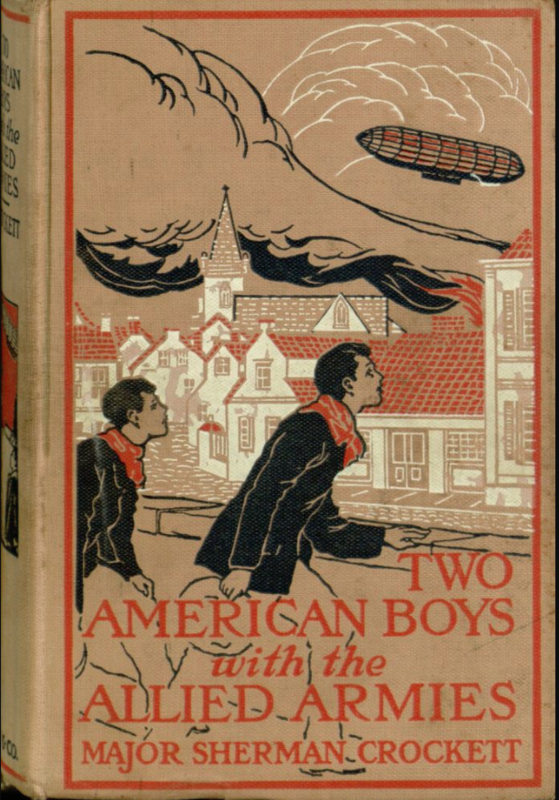 Cover of Two American Boys with the Allied Armies by Major Sherman Crockett, 1915. 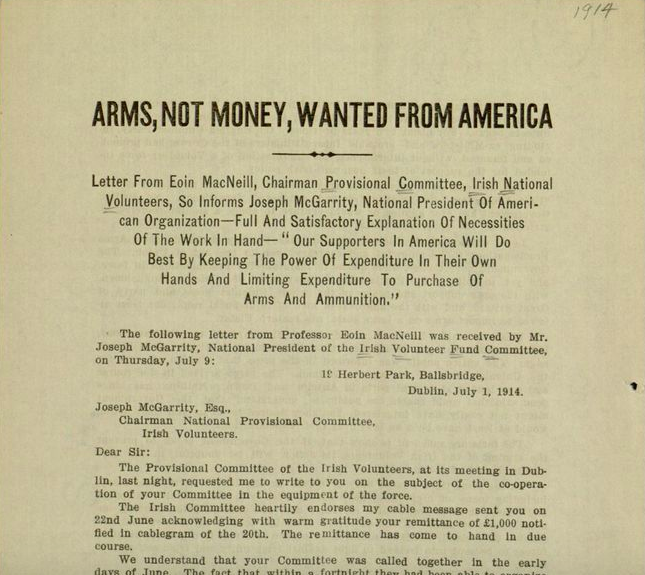 Chairman of the the Irish National Volunteers appealed for arms in a letter Joseph McGarrity, President of the Irish Volunteer Fund Committee in the United States. July 1st, 1914. This collection of photographs from the Mennonite Library and Archives shines a light on conscientious objectors (COs) during WWI, and their association with religious denominations like the Mennonites with a history of peace activism. 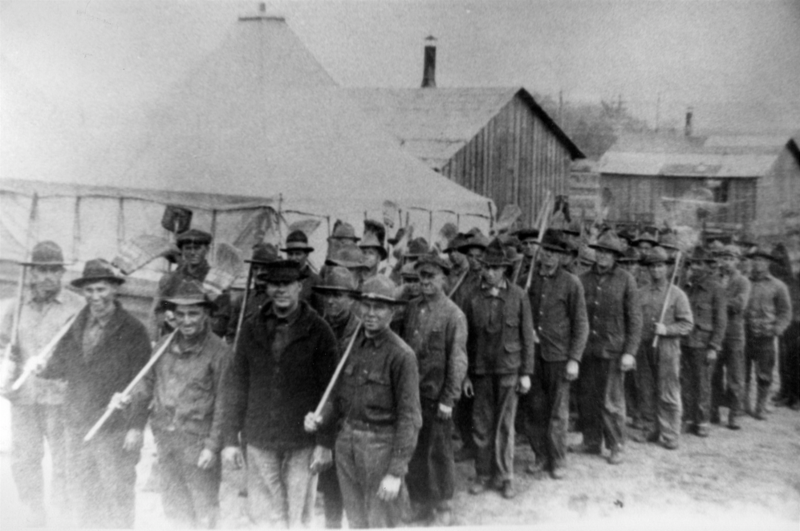 Rounded up by government authorities into military camps to carry out noncombatant services, COs were often treated poorly, with those refusing to carry out any services either court-martialed or sent to prison. We featured the great work of the Columbus Museum in Georgia in this post, who are using the Remembering WWI app to engage their visitors in gallery tours and education programming. Their collection, featuring photos, objects, and artwork, is a wonderful snapshot of local Georgia citizens who participated in the war effort at home. 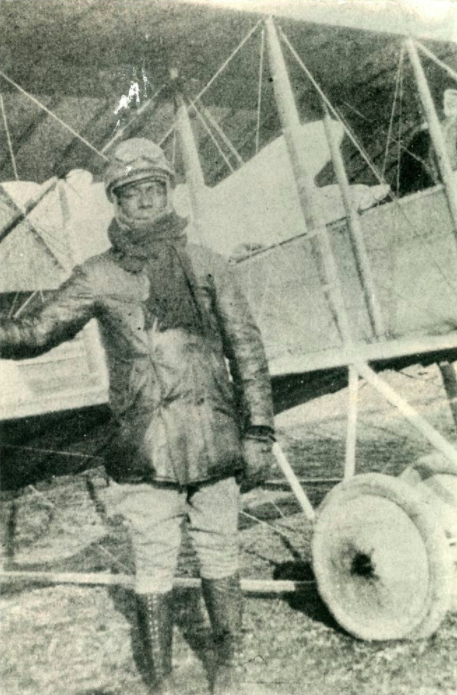 Eugene Jacques Bullard is considered to be the first African American military pilot to fly in combat, and the only African American pilot to fly during World War I. He did not, however, serve in the United States military. In 1914 Bullard enlisted in the French Foreign Legion. After being seriously wounded in the Battle of Verdun he joined the Aéronautique Militaire where he earned his wings in May 1917. 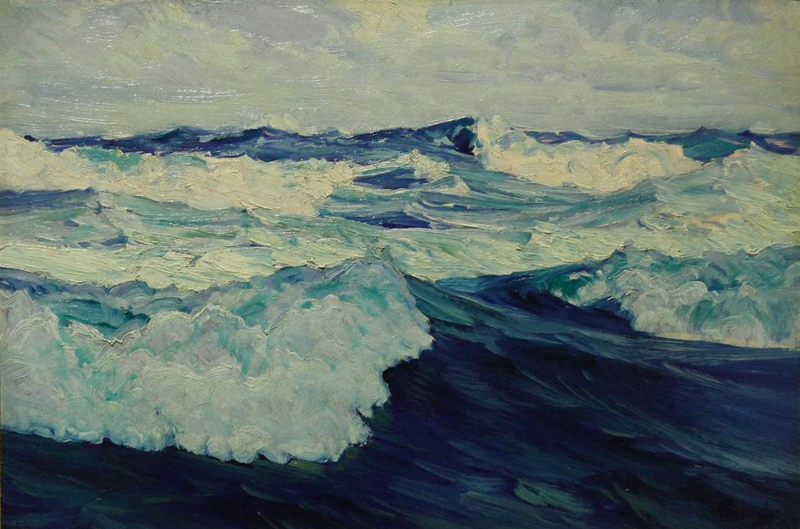 In 1918, American painter Frederick Judd Waugh accepted a position as a camouflage artist (known as a camoufleur) for the U.S. Navy. Waugh designed camouflage for several ships with great success; only one vessel painted with a Waugh design was lost. This is an example of his work before the war, painted in the English coastal town of Saint Ives, Cornwall around 1900. This collection remembers the local citizens of Abington and Rockland’s (MA) contributions to WWI, with the Dyer Memorial Library sharing its collection of medals, photographs, and programs from a Veterans welcome home celebration after the war. 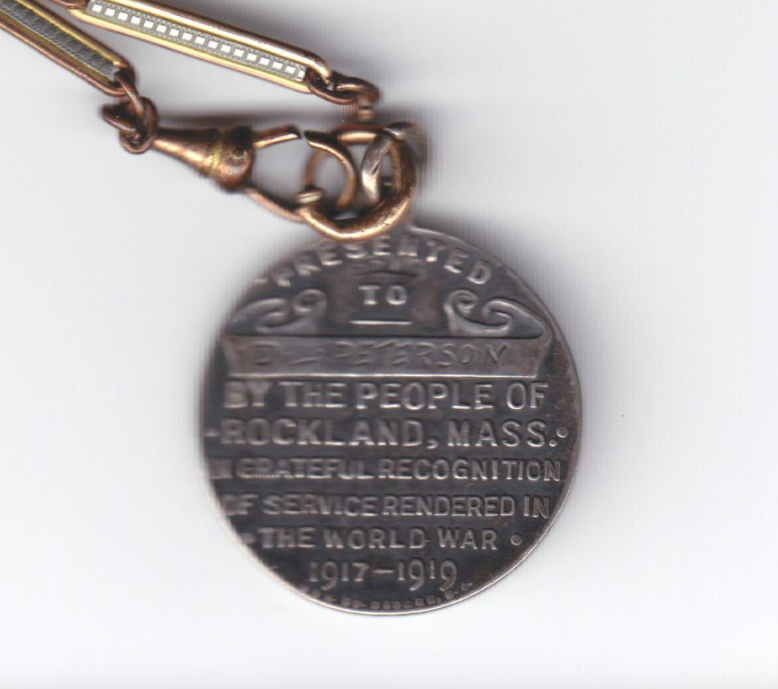 Medal awarded to D.L Peterson for his service in WWI from the town of Rockland, MA. 1919. To contribute your own materials to our Remembering WWI collection, read more here.